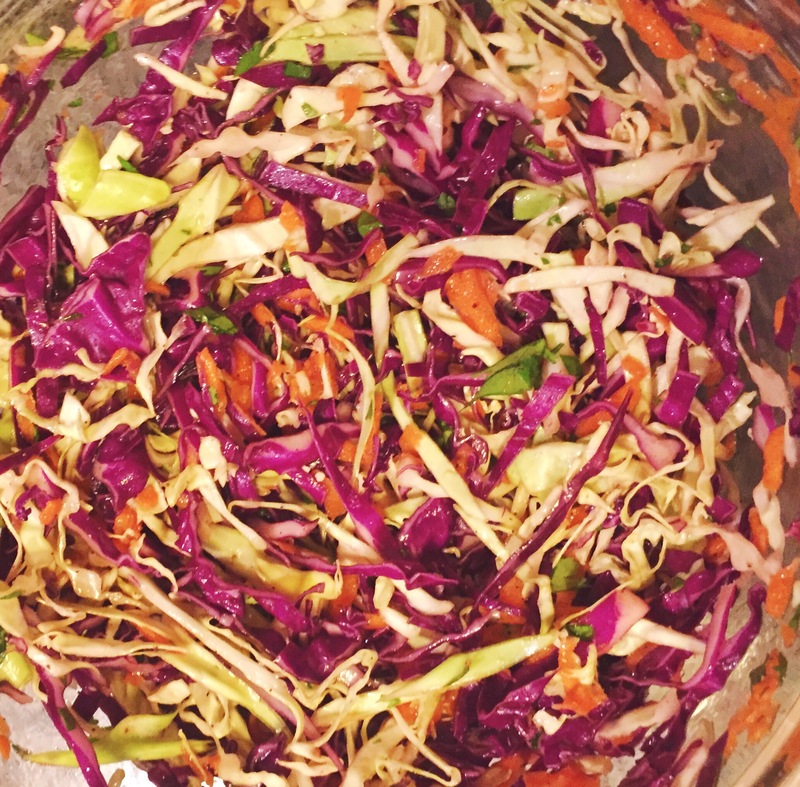 This is a recipe from my new book Go With Your Gut. 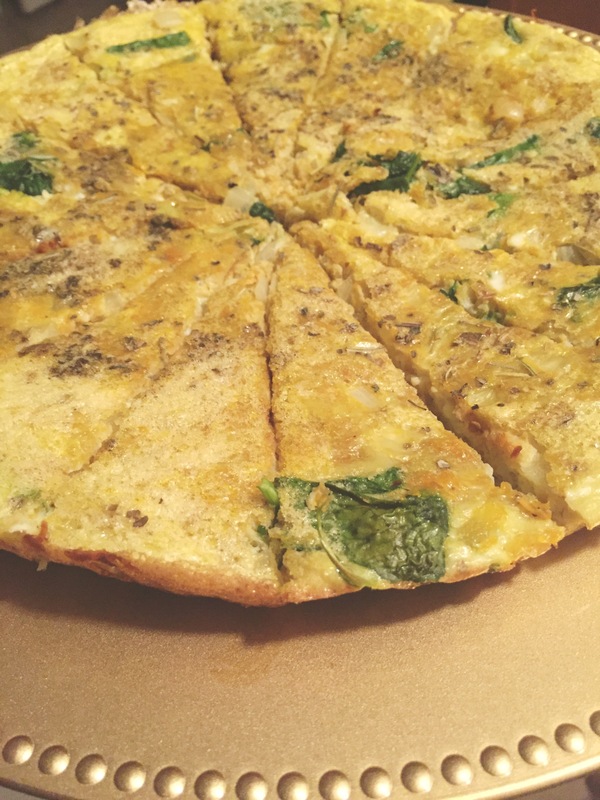 As described in the book, it’s called a “Superhuman Breakfast Frittata” because it includes all of the key ingredients to properly nourish your body. I made this for the first time on Saturday to bring to an Easter brunch. I must admit, I was wary as to whether it would taste good or not. 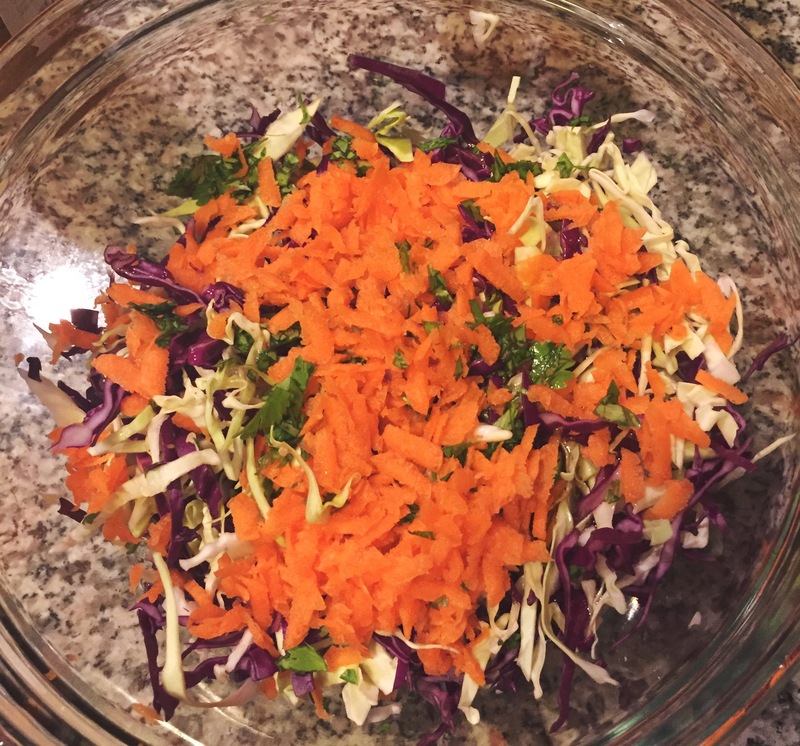 Considering the recipe called for sweet potatoes and kale, two things that I have never been particularly fond of, I made this without expecting to like it very much. 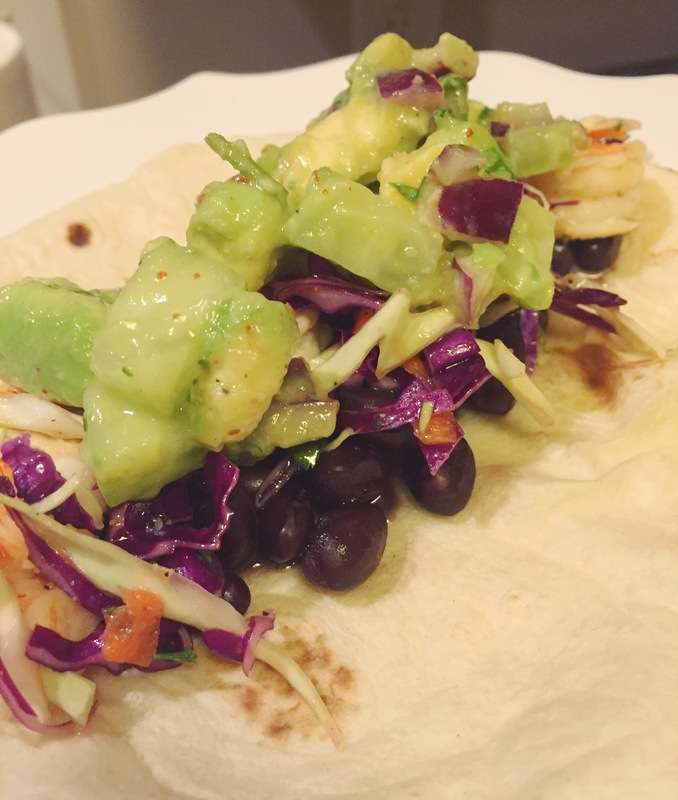 I was surprised at how much I actually liked it and it was a big hit at the brunch too! 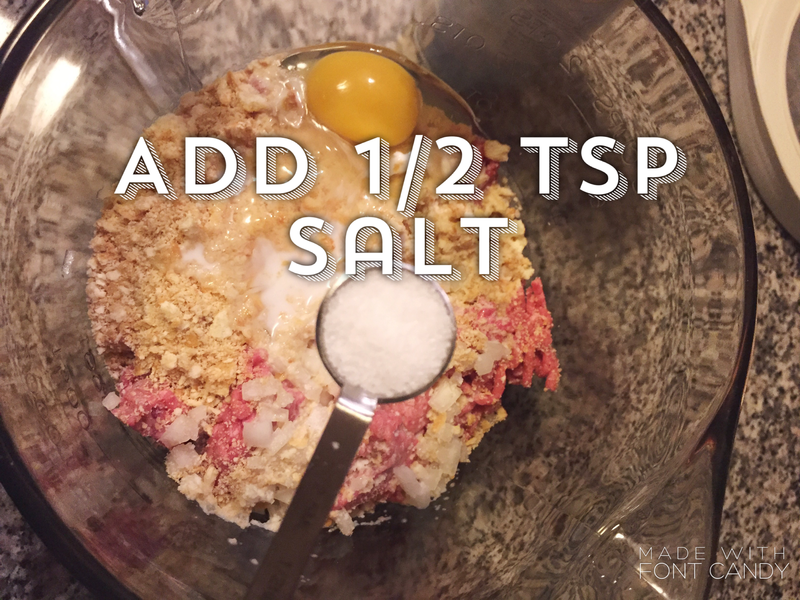 2- Beat the egg whites in a medium bowl until frothy. 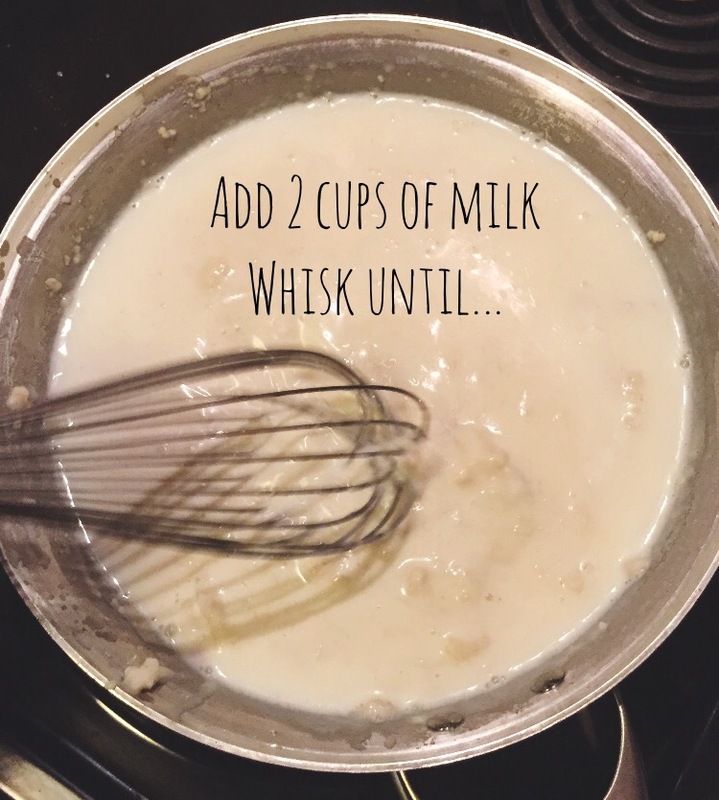 Whisk in the egg yolks to combine. Add the sea salt and pepper; stir and set aside. 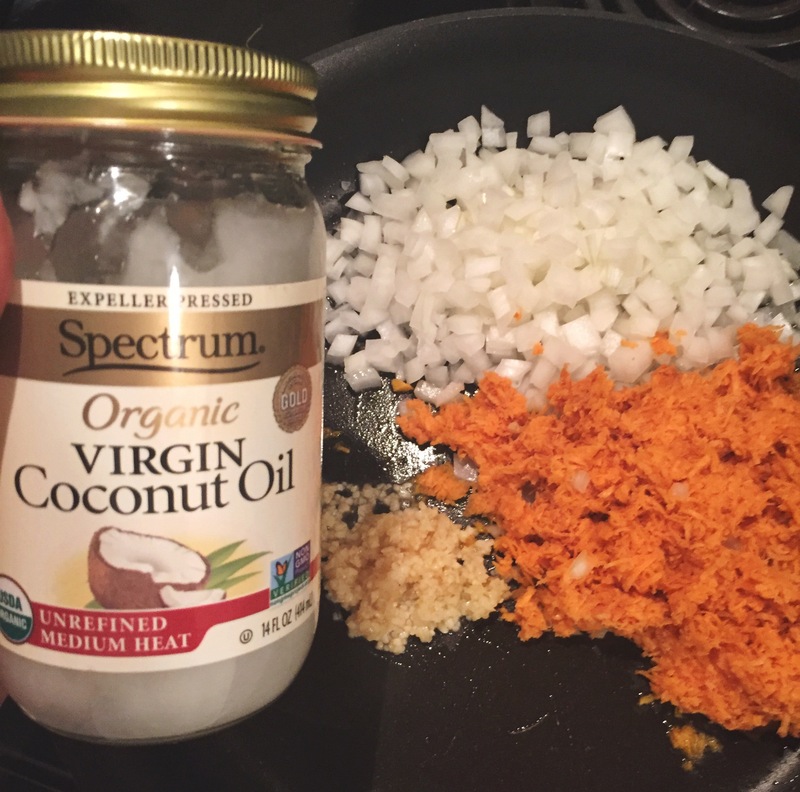 3- In a 10-inch nonstick, ovenproof skillet (ideally cast iron), melt the coconut oil over medium heat. 4- Add the garlic, onions, and sweet potato and season with sea salt and pepper. 5- Toss to coat the veggies in the oil and cook until you can almost stab through the sweet potato with a fork. Add in the greens and sauté for 2 more minutes. 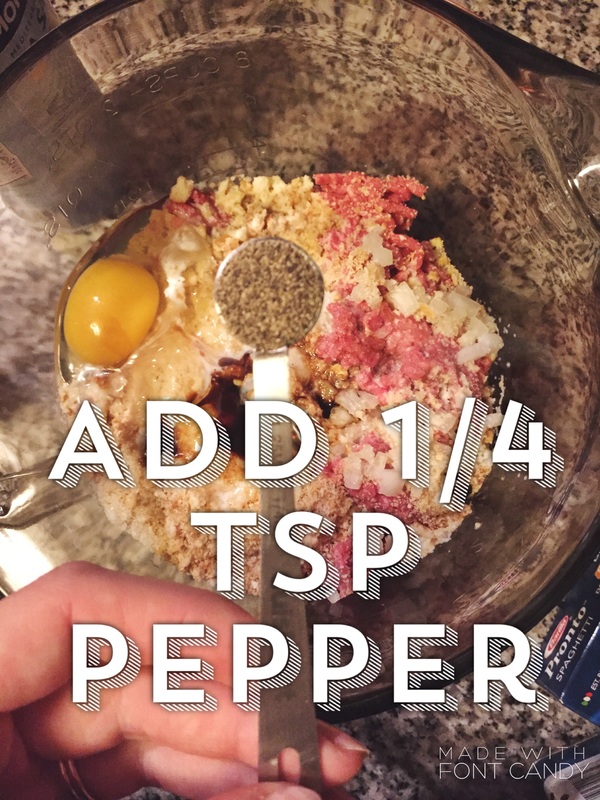 6- Pour in the egg mixture so that the vegetables and eggs are distributed evenly and add the Italian Seasoning or herbs. 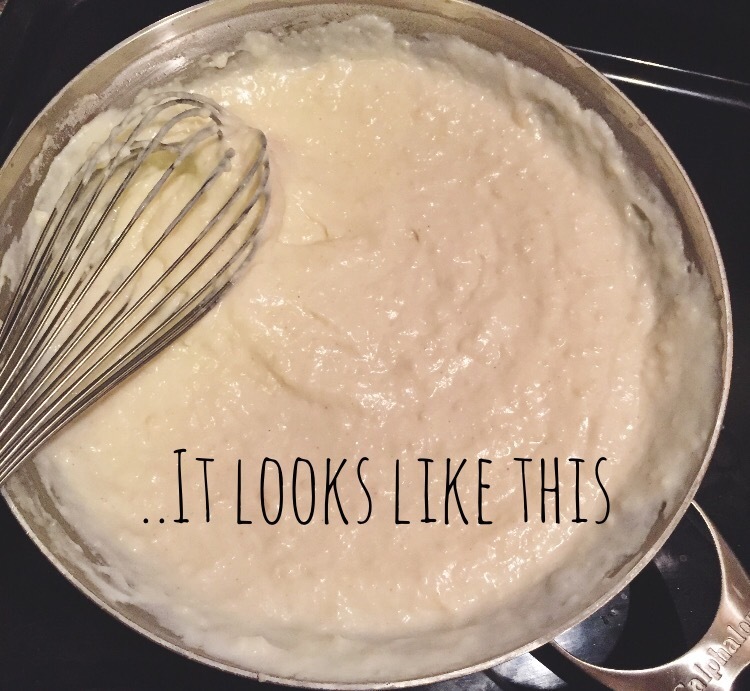 7- Let everything cook undisturbed for 5 to 7 minutes, or until the edges are set and slightly brown and the center is slightly wobbly when you shake the pan. 8- Put the entire pan in the oven and cook for another 5 to 7 minutes, until the frittata has set completely. 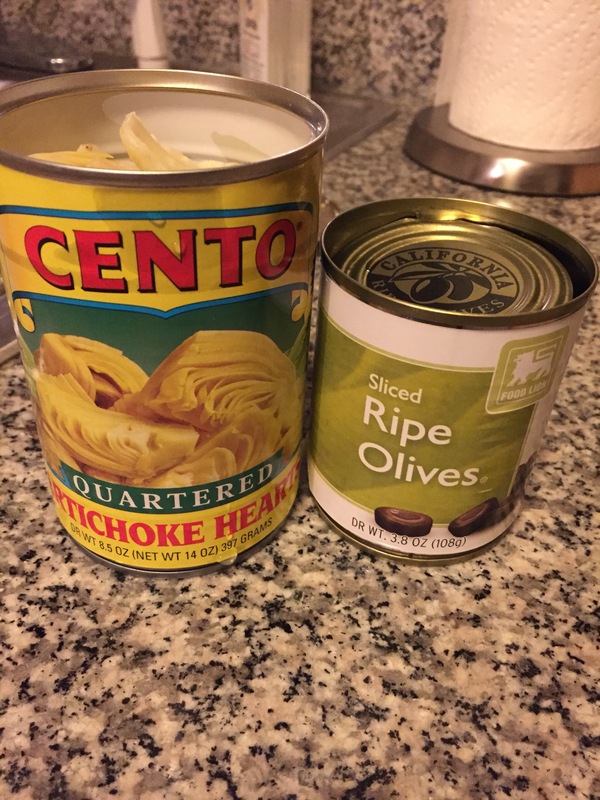 If using the cheese, add it during the last 2 minutes of cooking. 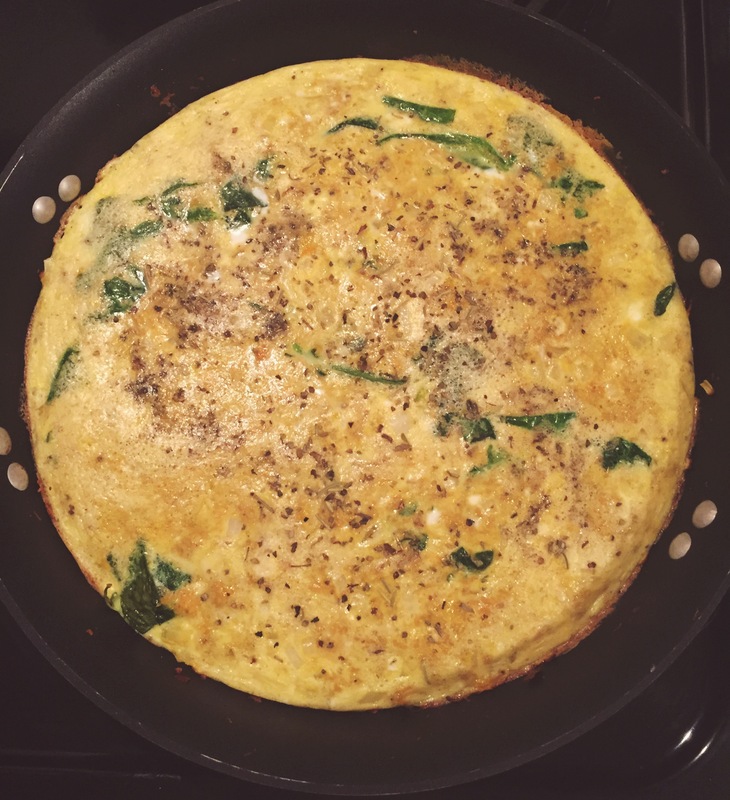 9- Take the frittata out of the oven and allow it to cool in the pan for 5 minutes. 10- Slice it into wedges and serve. My best friend’s mom taught me how to make this a few years ago. 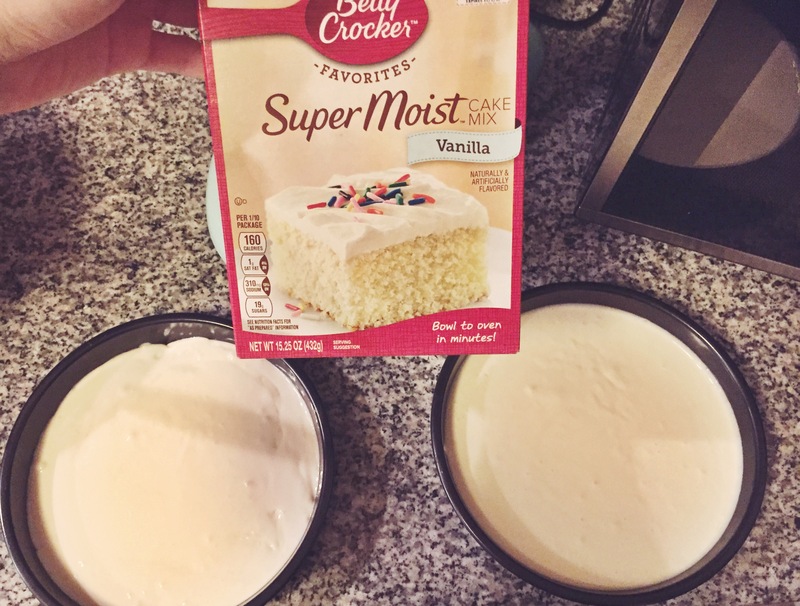 I just remember that it tasted so good that I really needed to know the recipe. 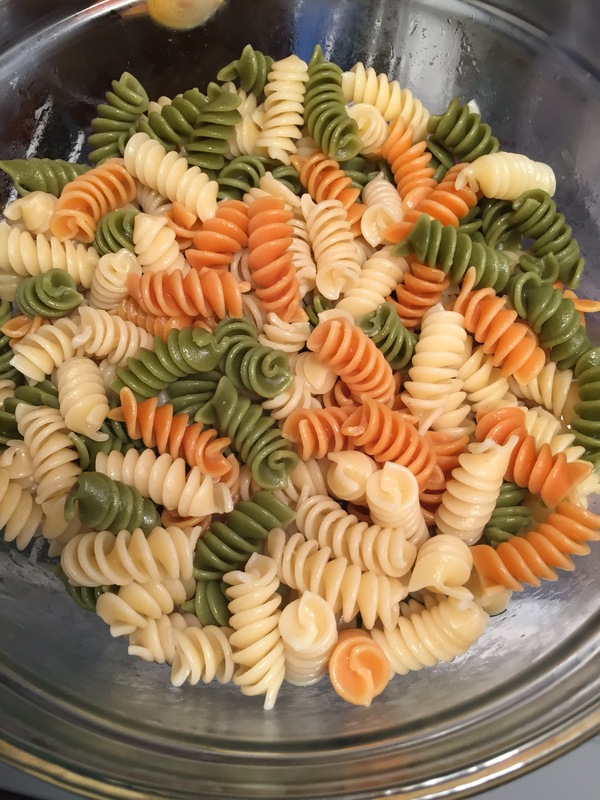 That was a few years ago and I haven’t had it since but I figured that St Patrick’s Day would be the perfect time to make it! 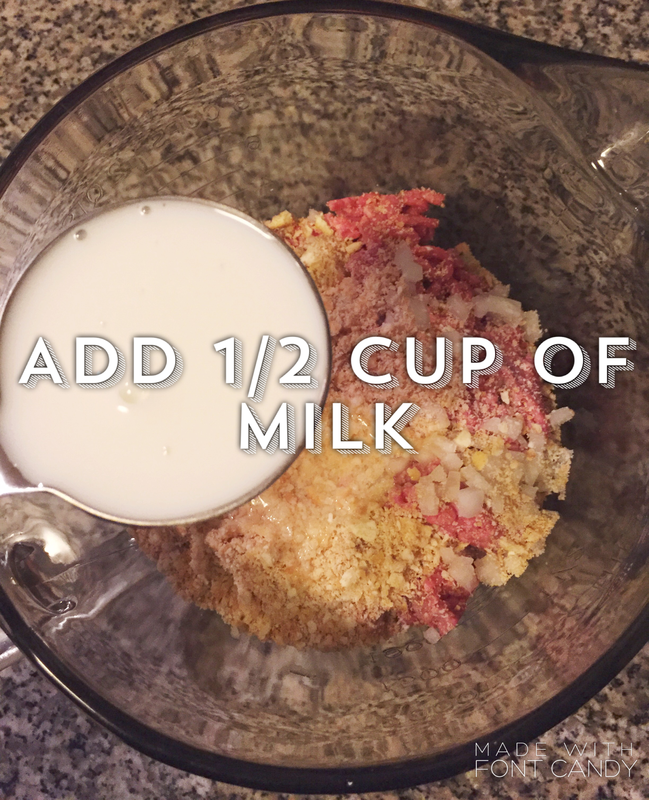 It’s sooooo easy and yummy. CARBS BABY! 1 12oz can of beer, I used a Guinness brand Blonde American lager. 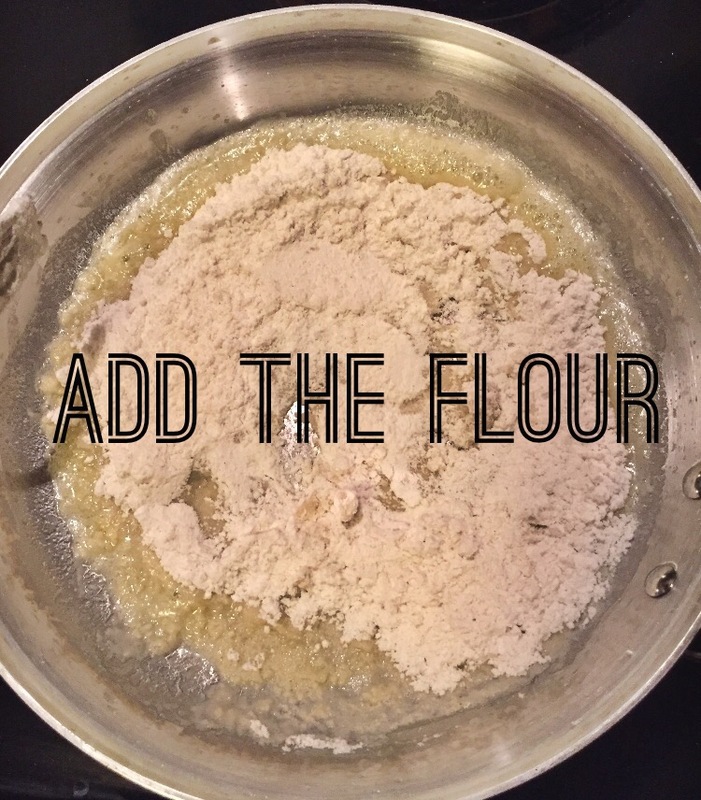 Mix everything in a large bowl, don’t forget to sift the flour, I guess it’s important. 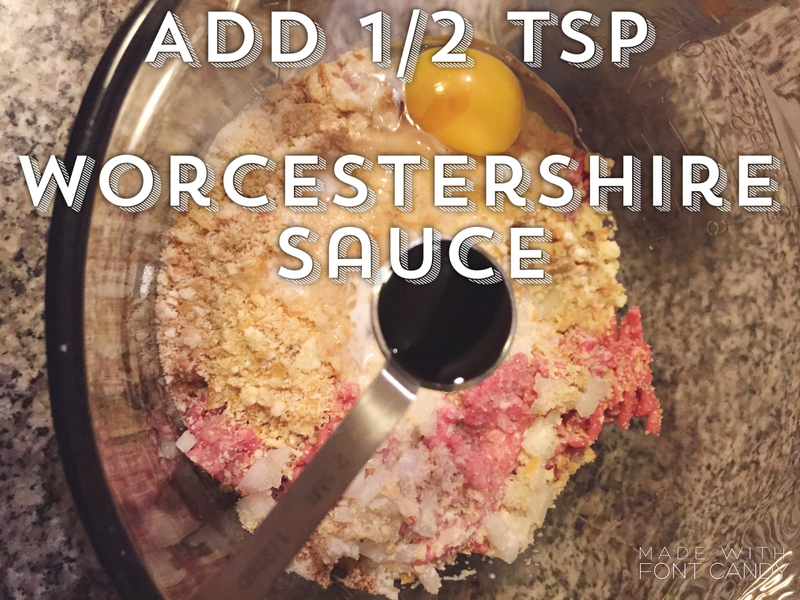 You can either add the butter into the mixture or pour it on top for a more hardened crust. I added it in and used the excess to grease the pan. 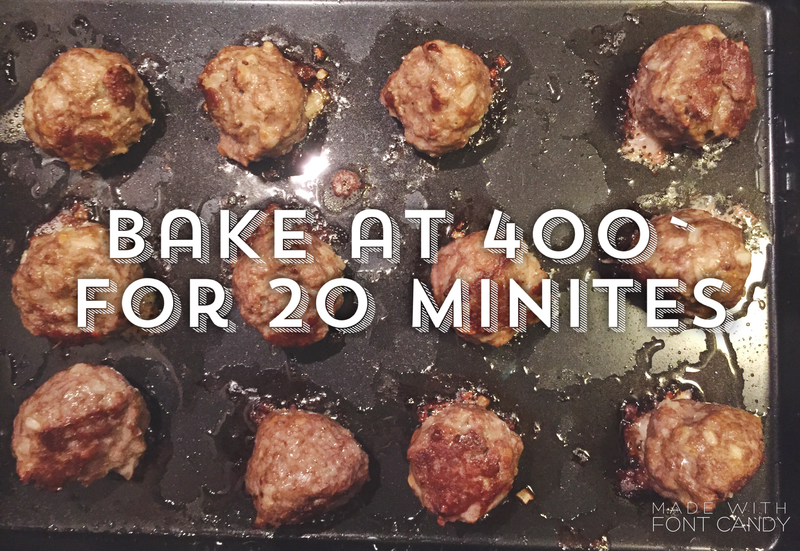 Pour your mixture into the greased bread pan and bake for 1 hour, then allow it to cool for 15-20 minutes. 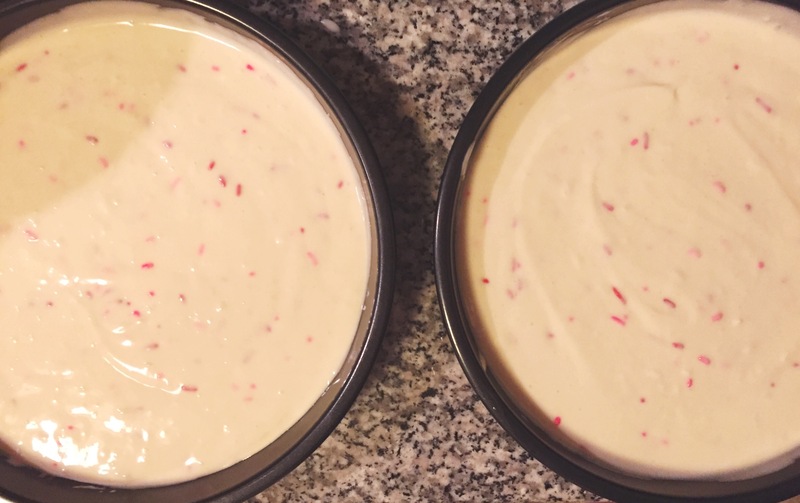 I made two different toppings for these bad boys so it took a little while to prepare everything but it was totally worth it. 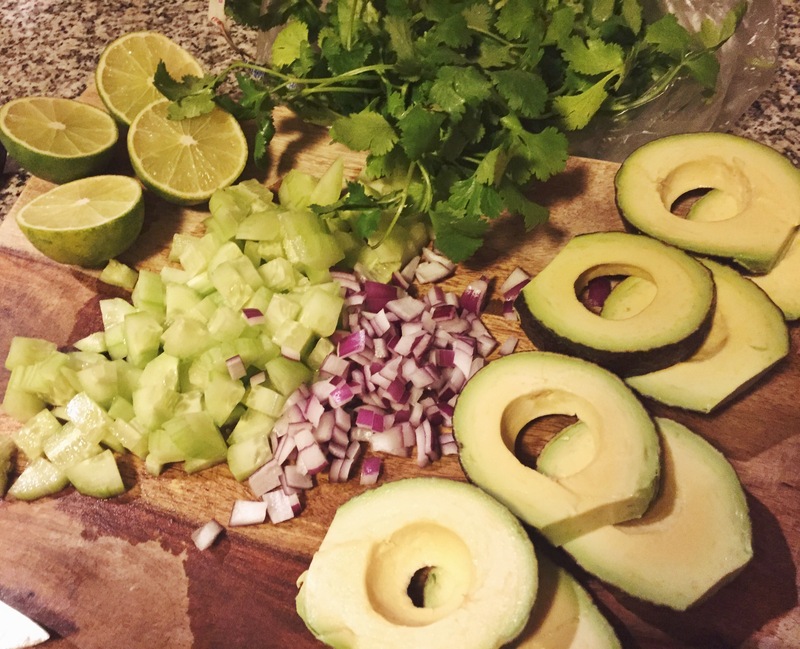 I’ll separate this recipe into three sections, one for the basic taco necessities, and one for each of the toppings. 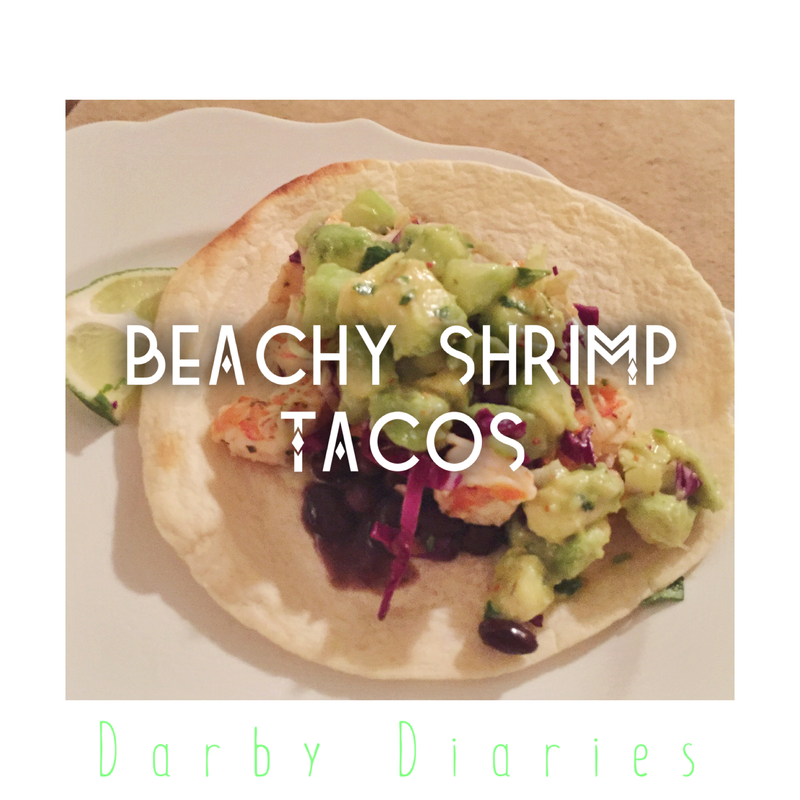 About 6 hours before dinner I chopped the butts off of all the shrimp, stuck them in a large ziplock Baggie and squeezed 2 limes into the bag. Then I added whatever seasonings I figured would be an appropriate mixture into the bag as well. 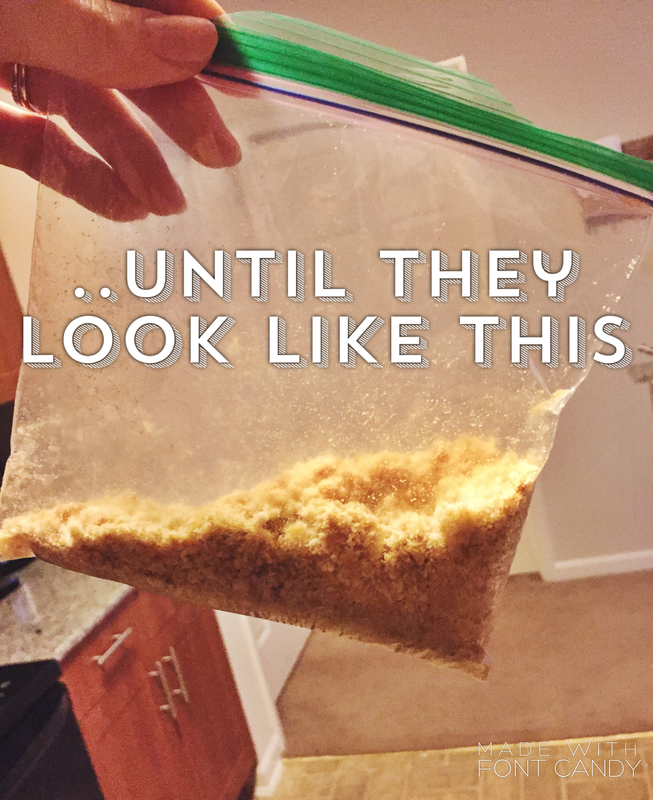 Then shook the bag to distribute the seasonings evenly, and stuck it in the fridge. 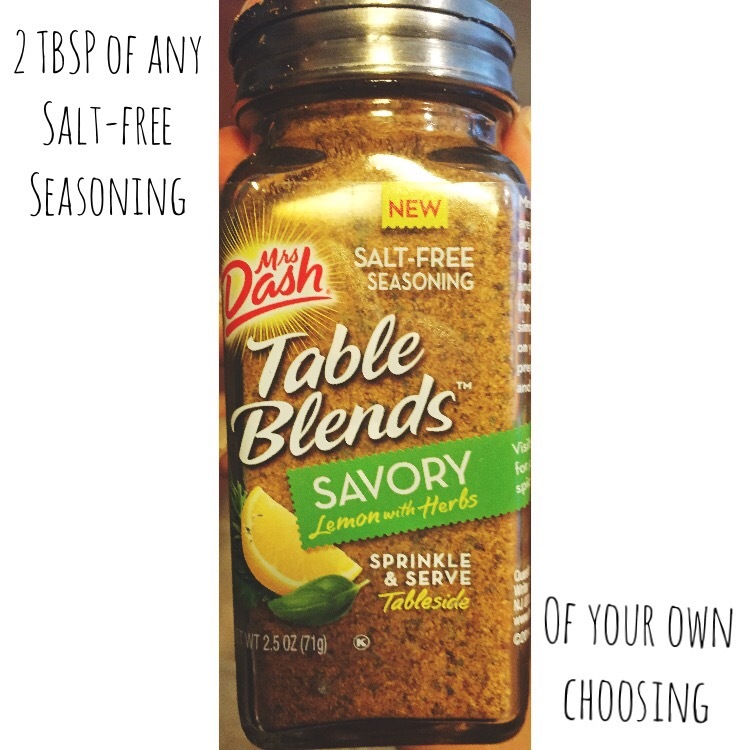 I apologize that I don’t have accurate measurements for the seasonings since I normally just add as much as I think would taste good. But if you have a hard time measuring by eye, just don’t put too much. You can always add more later. 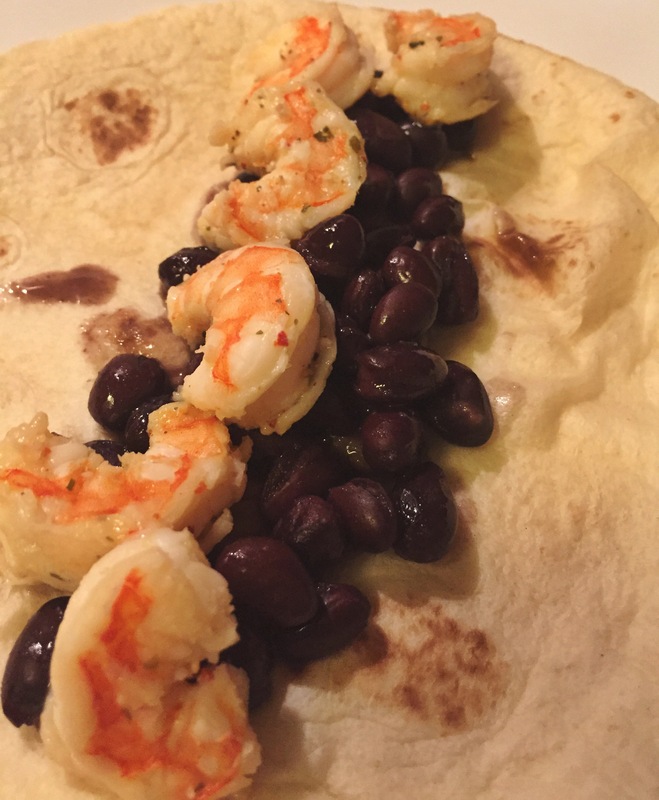 Once you’ve made your toppings, go ahead and throw the shrimp on the barbie! 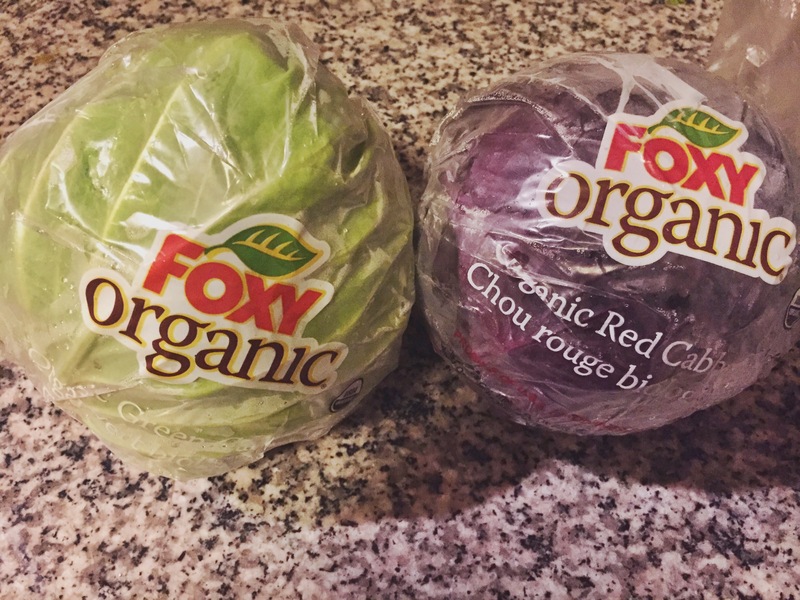 I mean… In a pan on the stove! 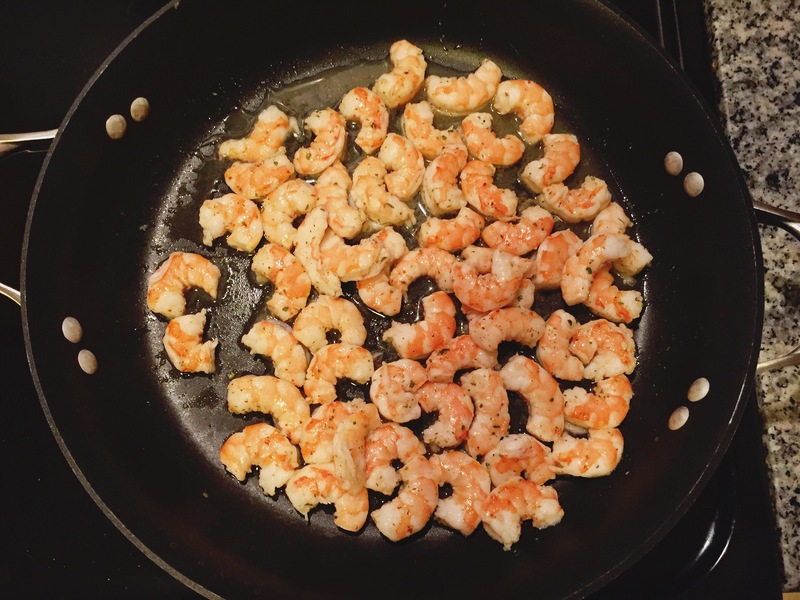 The shrimp were already cooked so I just heated them up a bit after allowing them to soak in the flavor for those 6 hours. Next step was to heat up the black beans in a small sauce pan. 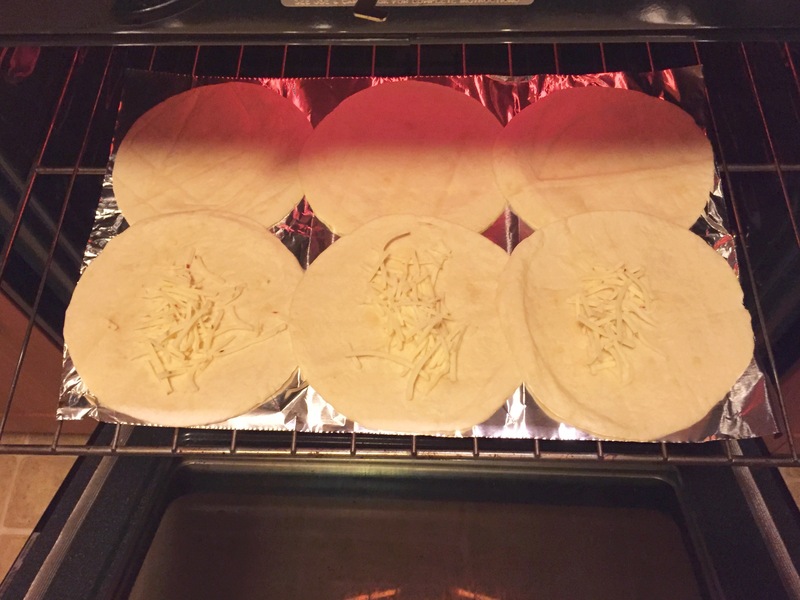 I even put some shredded cheese on the tortillas to melt it! 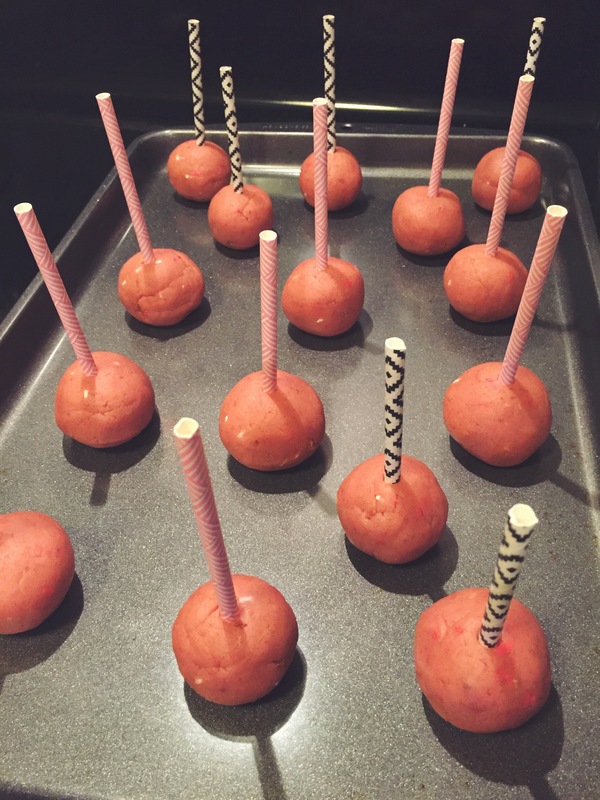 Today, my friend Chelsea and I decided to attempt to make cake pops for the first time. 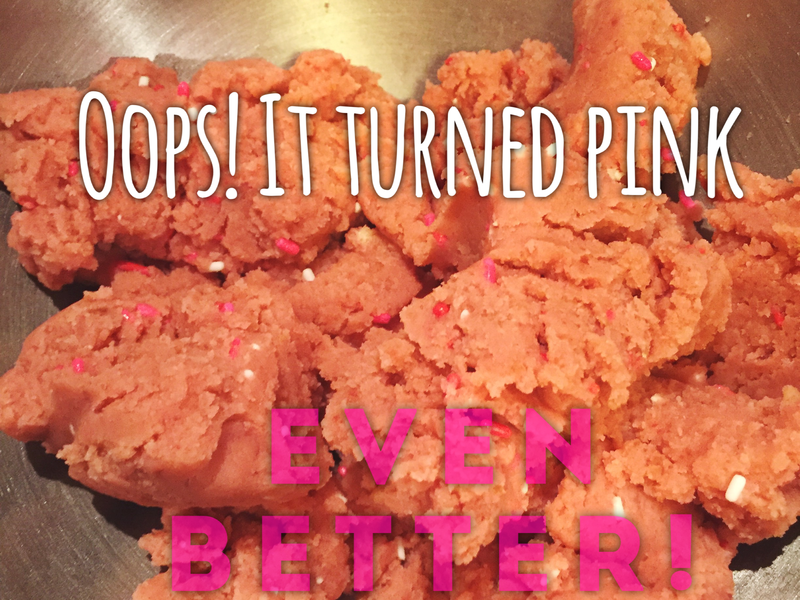 Although we messed up on a few minor things, we learned what to do differently next time! 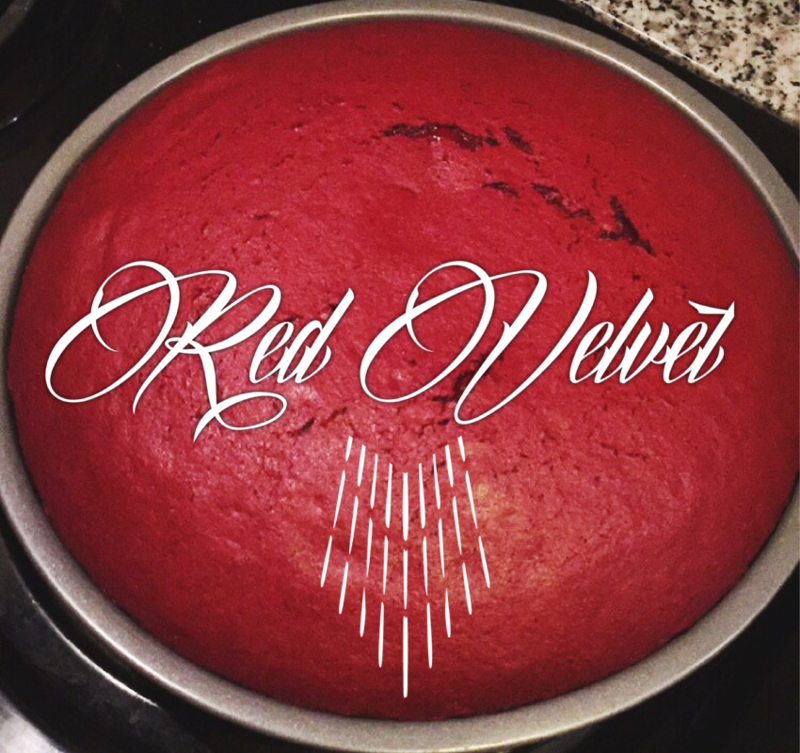 We decided to make them “Valentines Day” themed since it’s only a couple of weeks away! 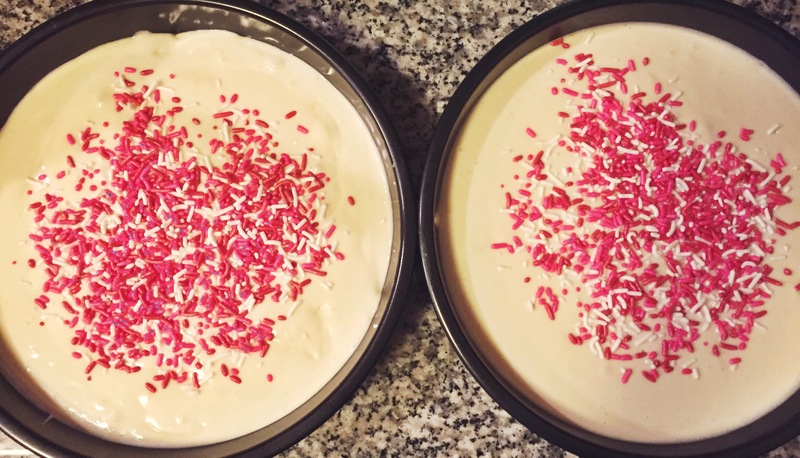 We added these valentine colored sprinkles hoping that it would come out like fun-fetti cake, but thats not quite what happened. 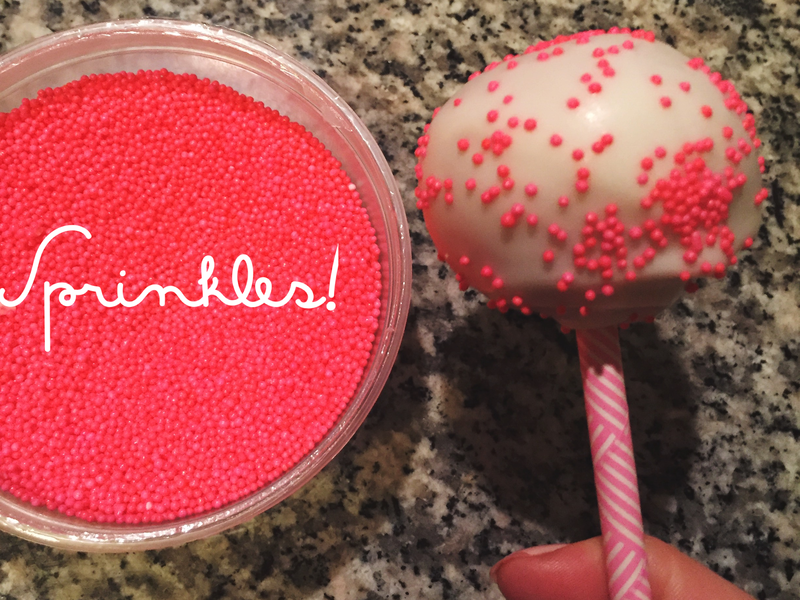 A happy accident… We just added more sprinkles! 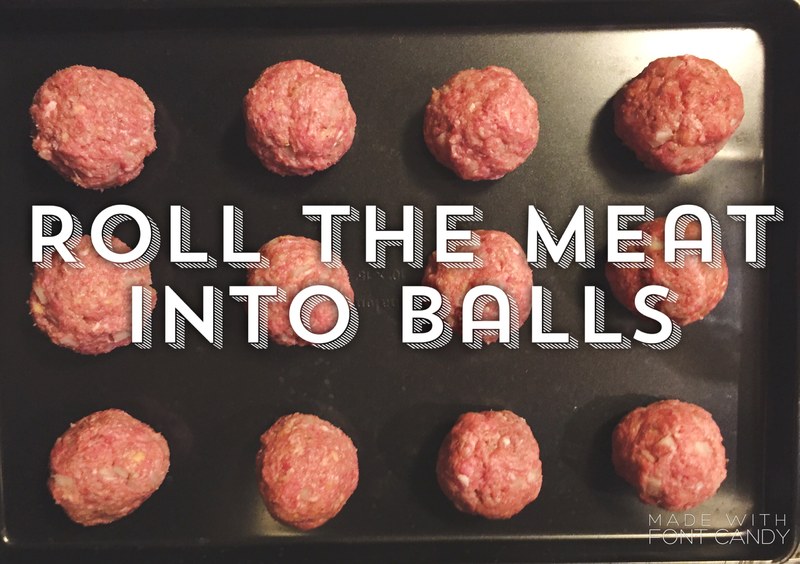 roll into balls and jam those sticks in half way. 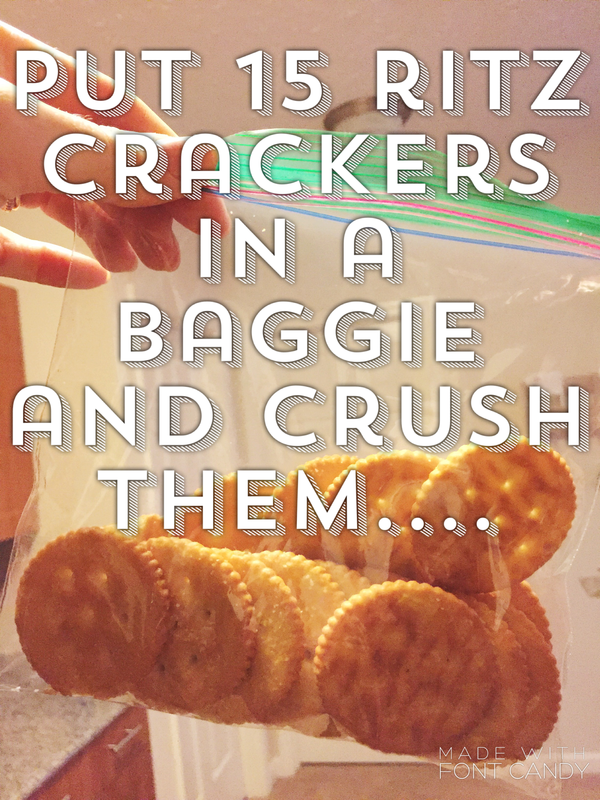 Place them in the freezer for 30 minutes. 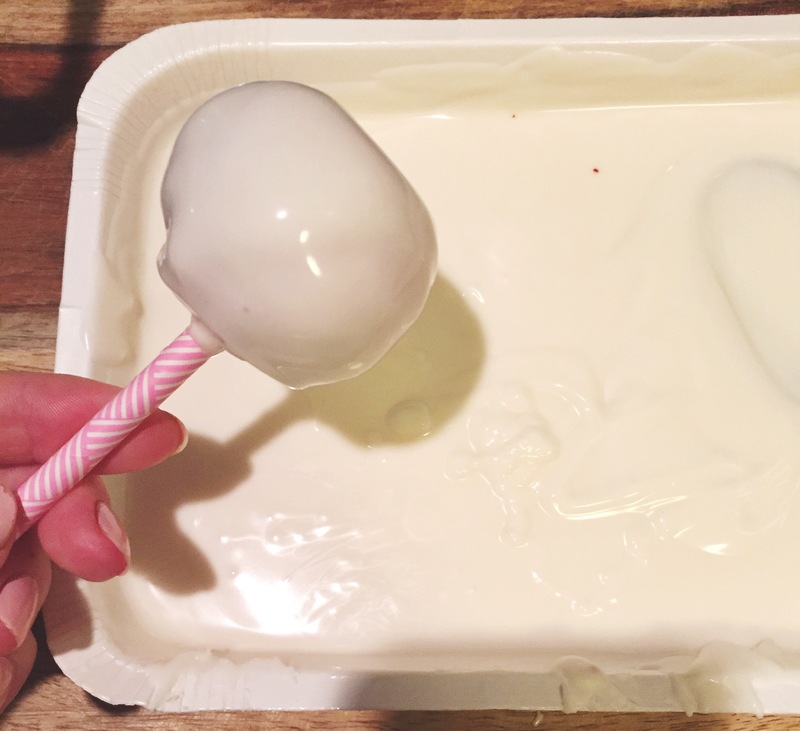 after 30 minutes, dip your pops in your chocolate and start decorating! 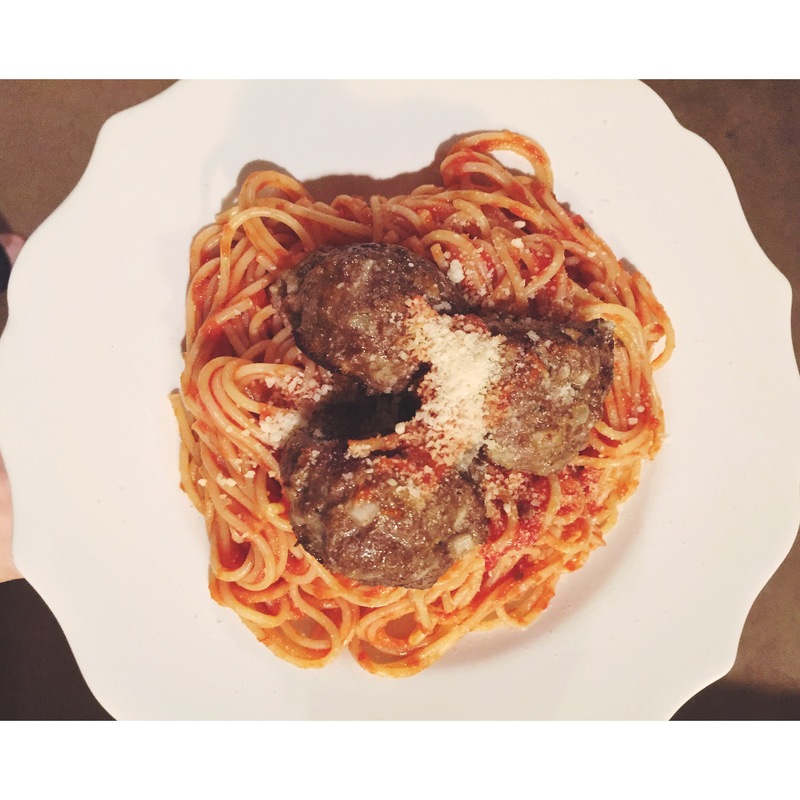 Today was super gloomy and pretty much the only productive thing I did all day was make spaghetti and meatballs… So I guess you could say it was “cloudy with a chance of MEATBALLS!! !” Haha and yes I’m aware of how lame that just made me sound. Whatever. 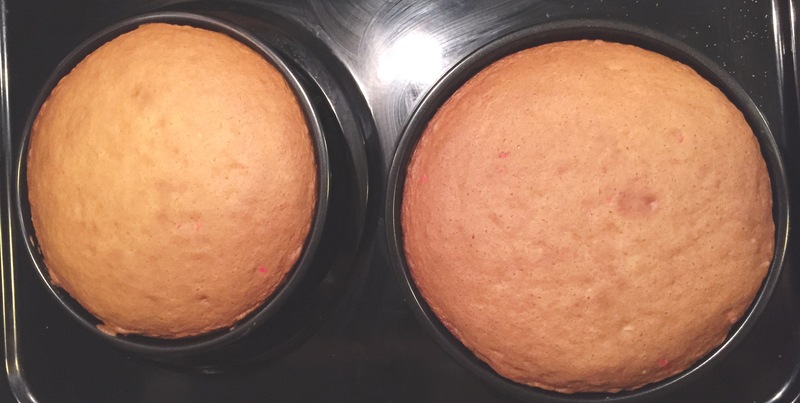 I turned mine over at ten minutes to make sure they cooked evenly. 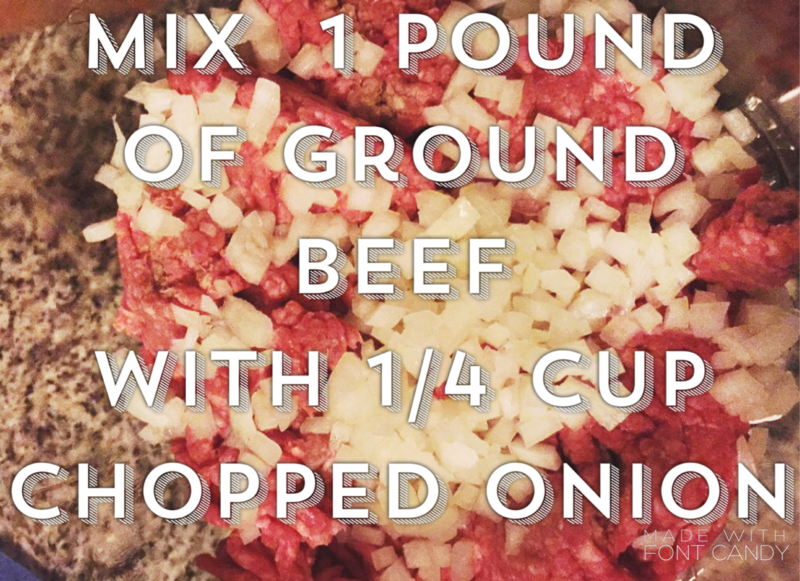 Add the sauce of your choice to your spaghetti and top it off with these amazing meatballs! 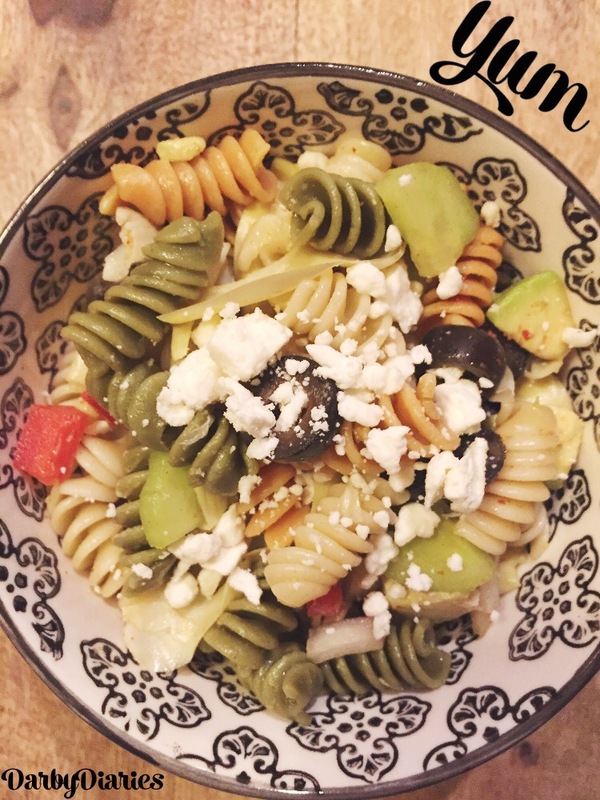 Believe it or not, I have never made pasta salad before…. Nor have I ever really enjoyed eating it. 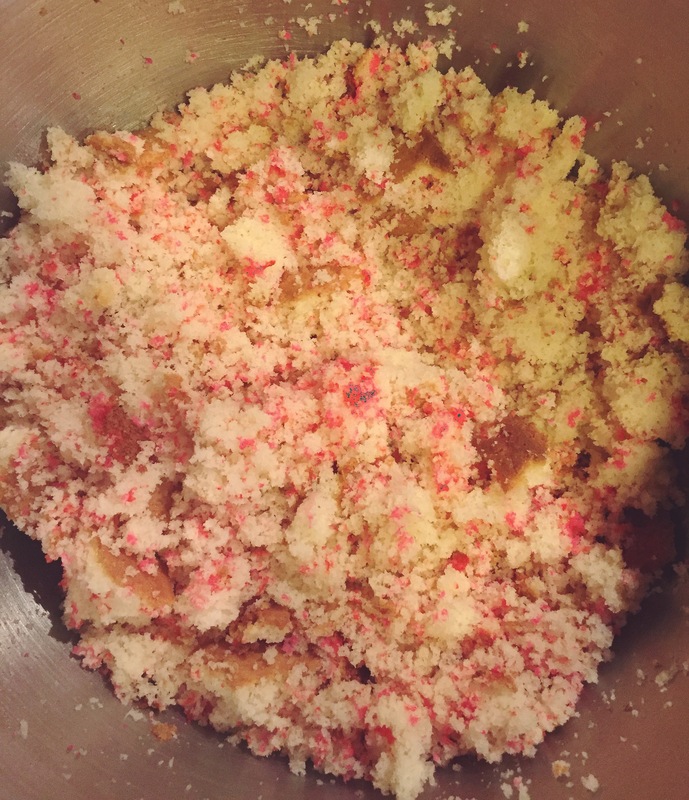 I would see a bowl of it occasionally at the table for different holidays but ignore it because it probably had tomatoes in it…. Which I hate if you didn’t already know that. I know hate is a strong word. But. Yeah. I stand by it. Anyway, I figured I would give it a shot. I kind of just threw a bunch of stuff together but it turned out pretty darn good! Boil water add a pinch of salt, toss those little guys in there and cook them till they’re soft. When they’re cooked, drain the hot water and run some cold water over them to cool them down. 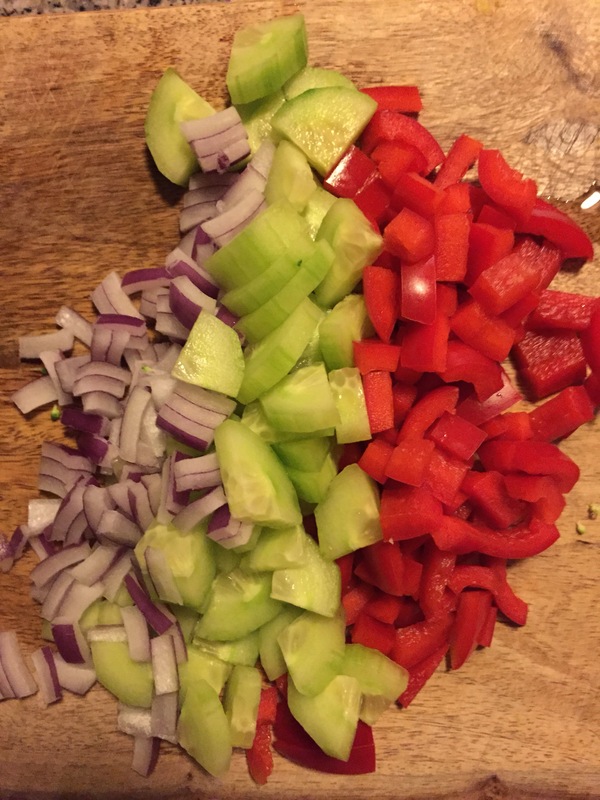 While your noodles are boiling, go ahead and chop the cucumber, bell pepper and red onion. 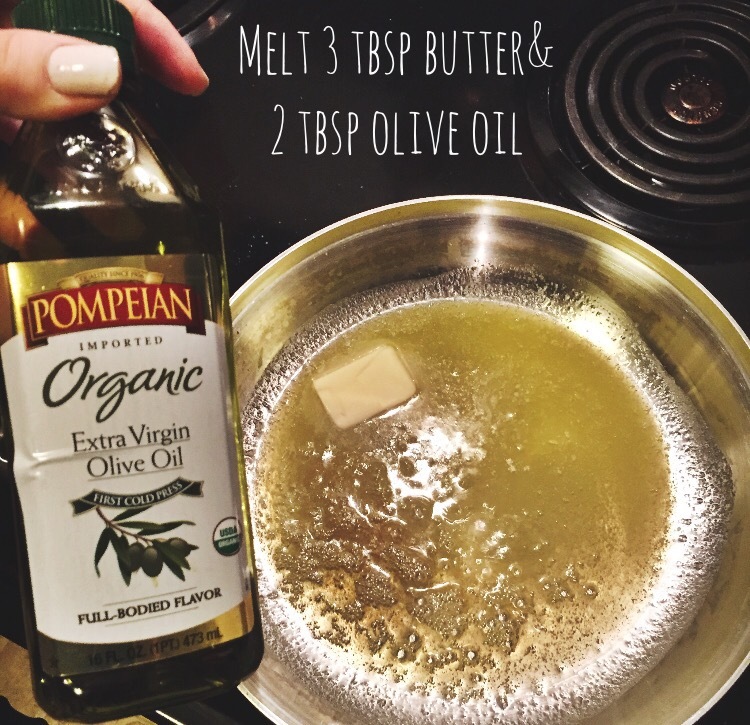 When the pasta is finished cooking put it back in the pan and drizzle some olive oil over it. 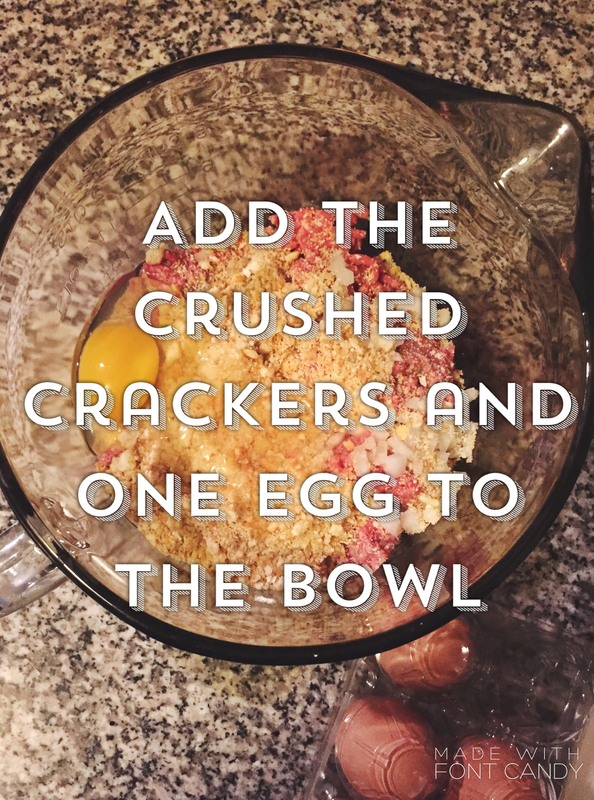 Find a large bowl and start to mix everything together. 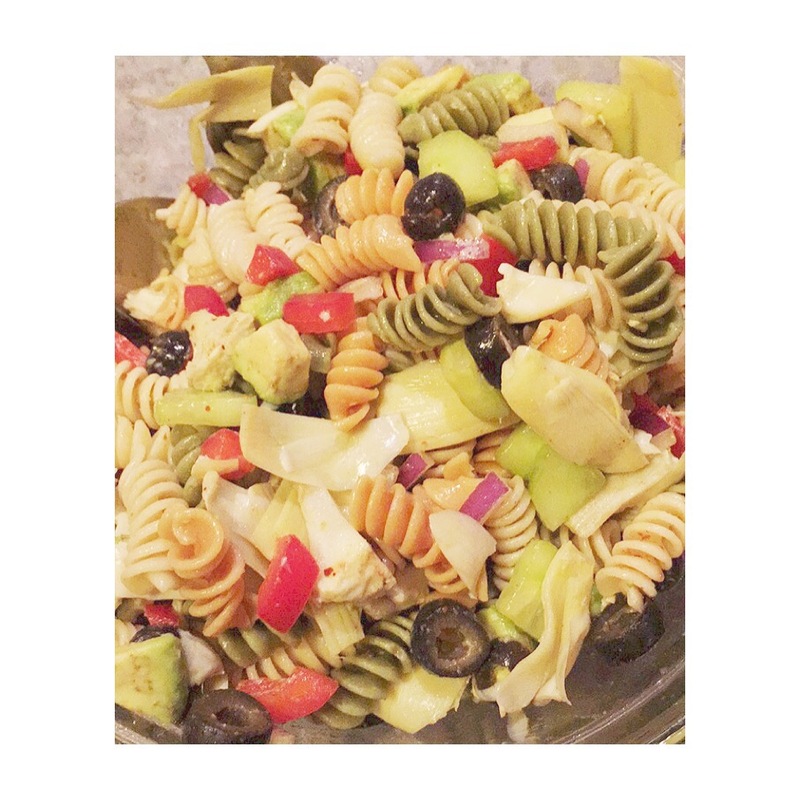 Pasta, cucumber, bell pepper, red onion, artichokes, olives and avocado. Also add tajin and garlic salt. 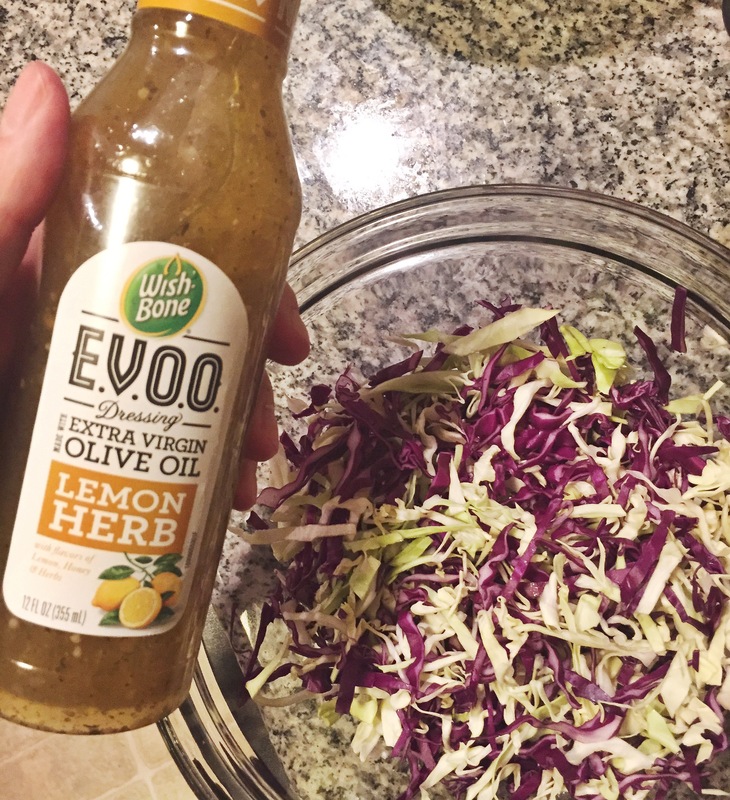 Drizzle some more olive oil OR use a light salad dressing and mix it in. 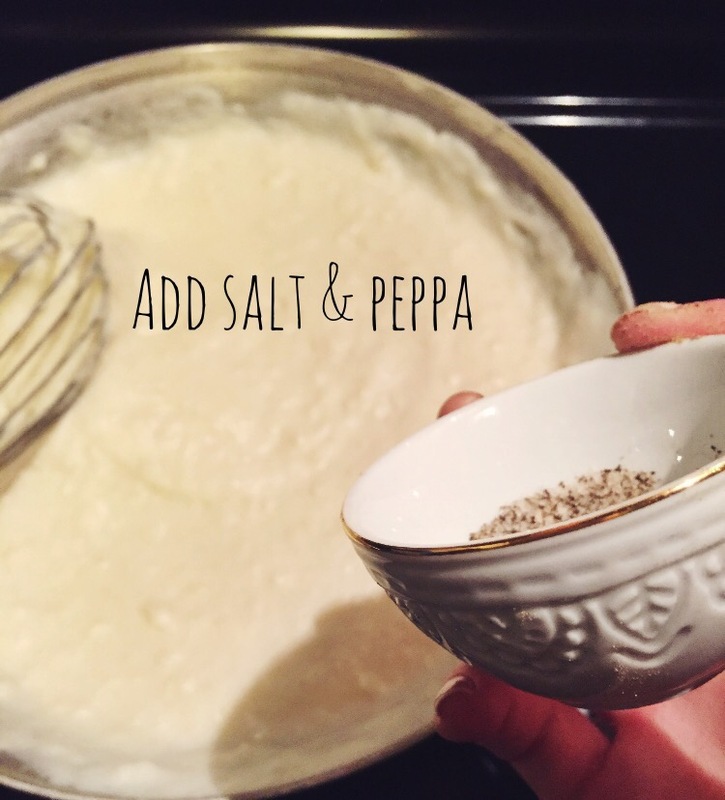 Top it off with some feta cheese, salt and pepper and enjoy! 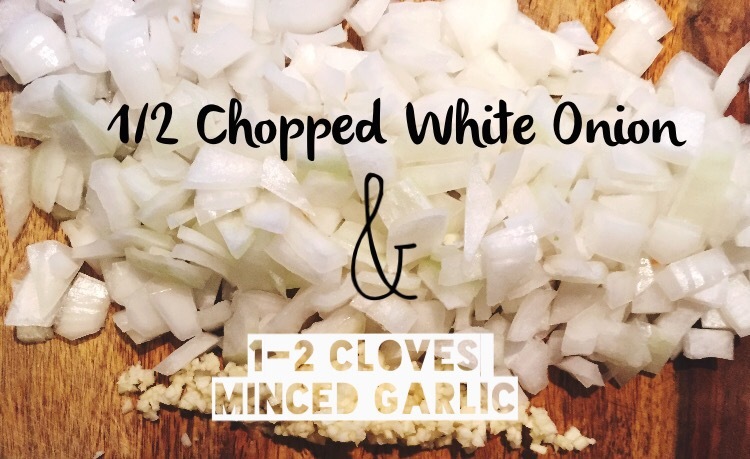 Here is yet another soup recipe. If you’re surprised, then I’m surprised that you’re surprised. As I’ve said before, soup is my favorite thing to make.. 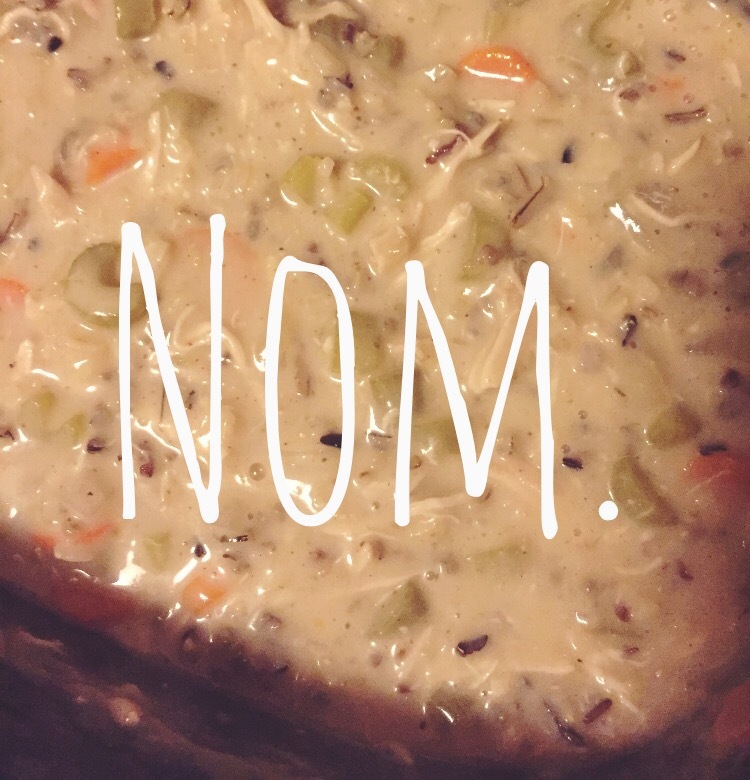 But this isn’t your average soup. This soup is down with the thickness if you know what I mean. 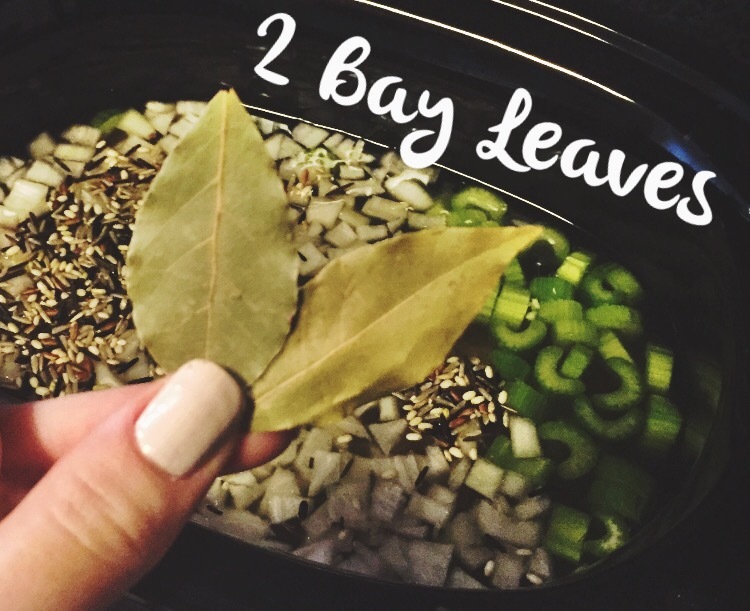 It also requires a slow cooker which means it’s super easy and the perfect meal for a Sunday supper. 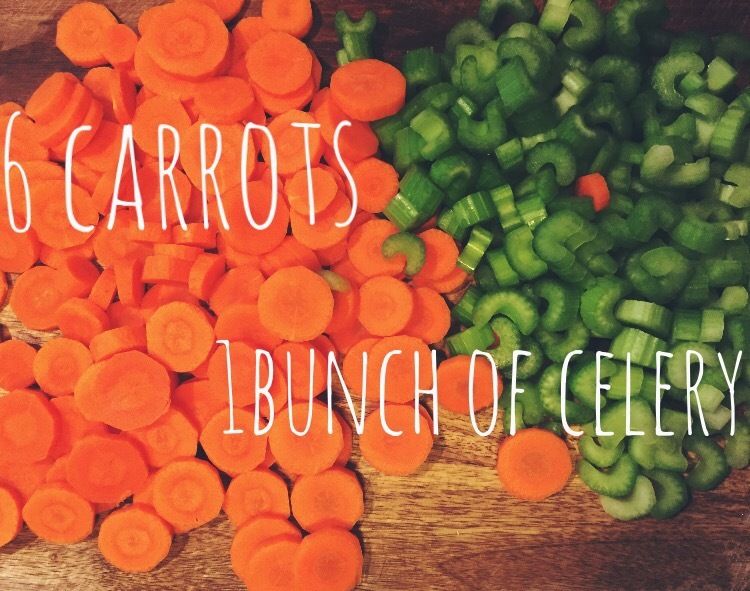 Chop carrots, celery and onion and mince garlic. 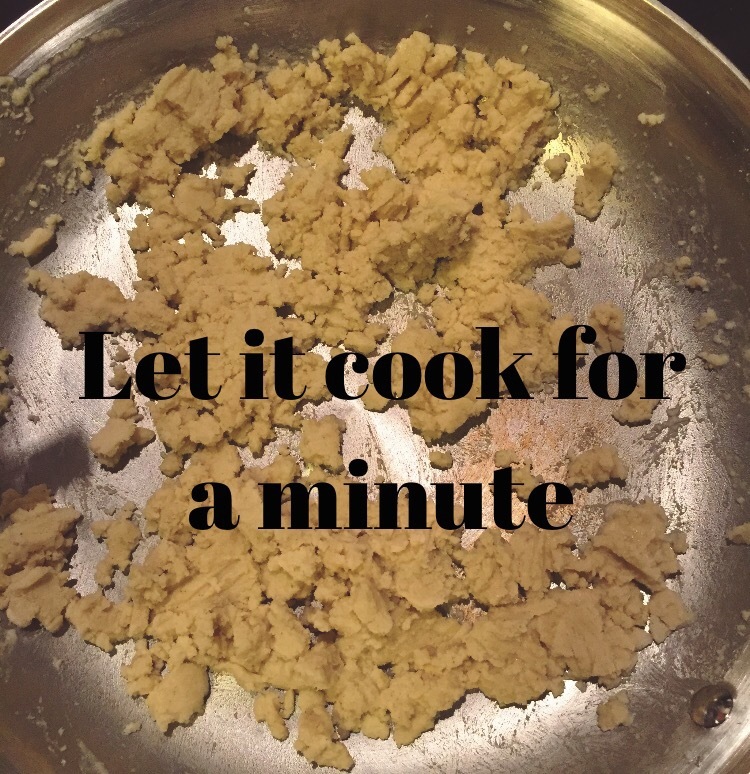 Set slow cooker either to low for 8 hours or high for 4 hours. 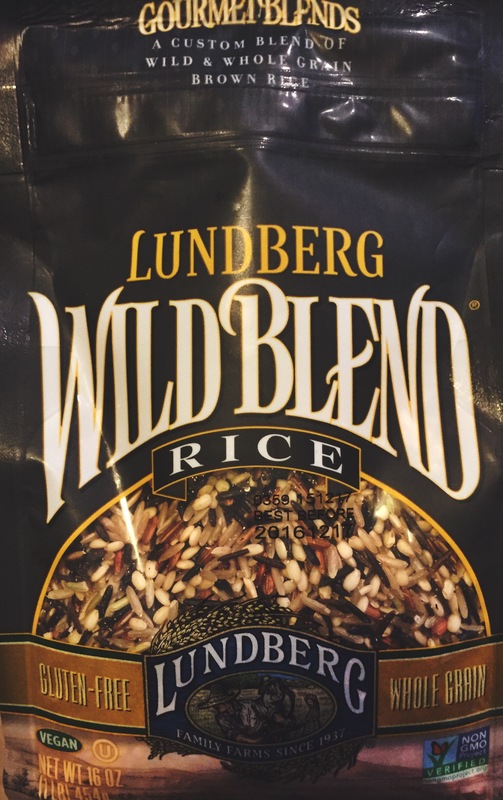 I reccomend 8 since I set it to 4 and the veggies were not as soft as I would have liked them to be. 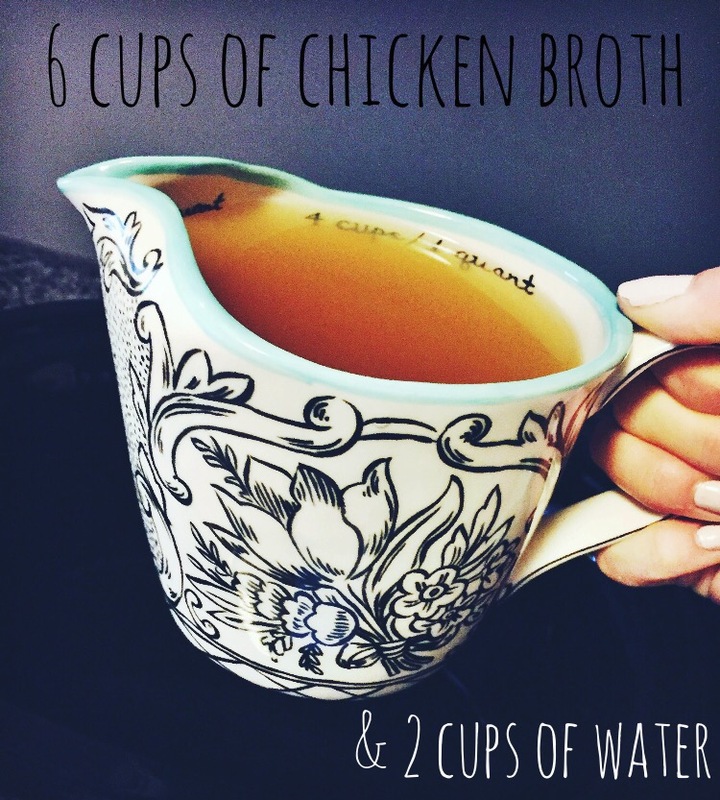 Add chicken breasts, broth and water to slow cooker. Add rice, bay leaves and seasoning blend. About 40 minutes before cooking time is complete, remove chicken and start to make the creamy mixture. 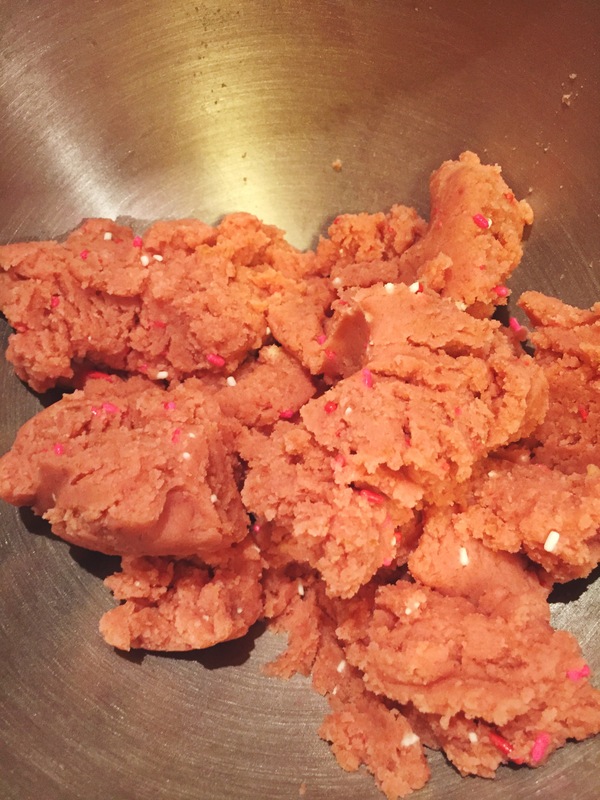 I made the mistake of using a pan instead of a pot which made whisking difficult… Learn from my mistake and use a pot. 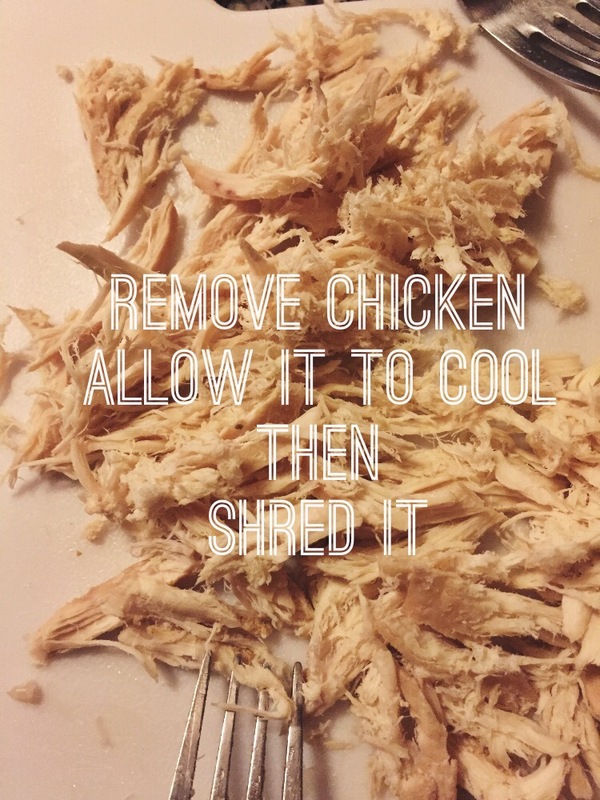 Put chicken back in the crock pot along with the creamy mixture.